Five Oracles, five Elements, One pack! 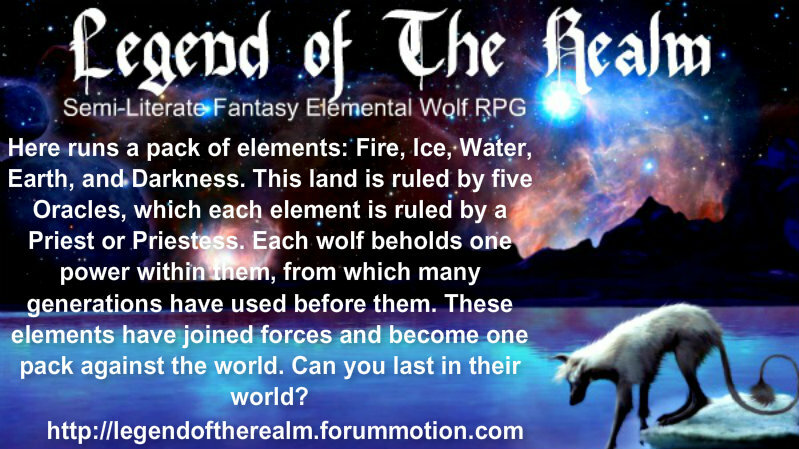 Elementals such as Fire, Ice, Water, Earth, and Darkness. They all live together in lands claimed by the Oracles from other packs. Keeping each other safe from humans and invading packs is what this pack is all about! Come and join us today!